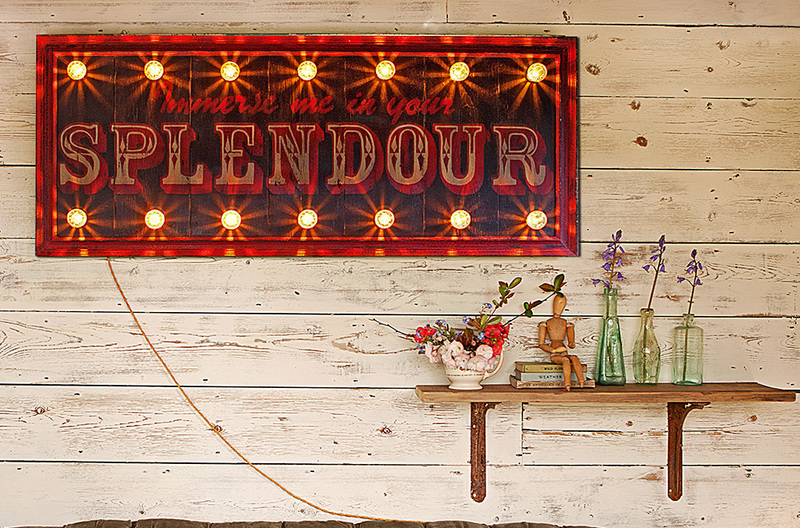 A totally unique and very special fairground sign ''Immerse Me in Your Splendour' is hand painted in deep sumptuous red and cream in circus fonts onto black reclaimed boards and surrounded by a deep red frame. 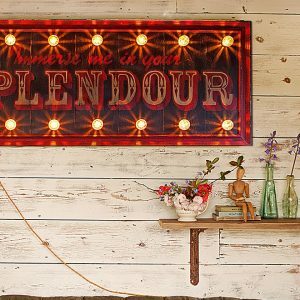 It is aged and distressed to achieve that unique Argent and Sable look. 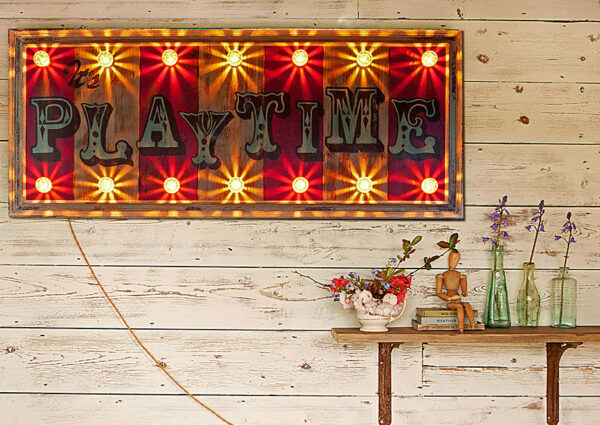 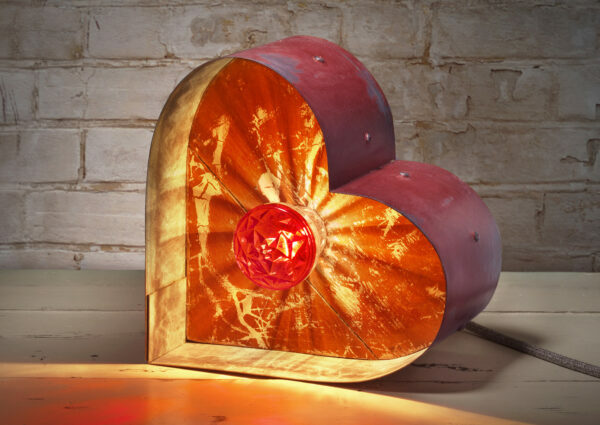 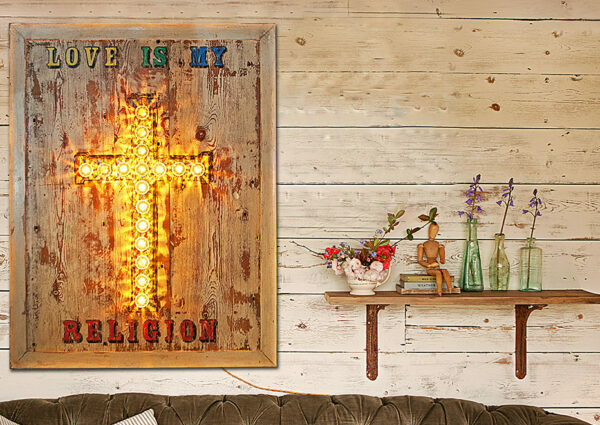 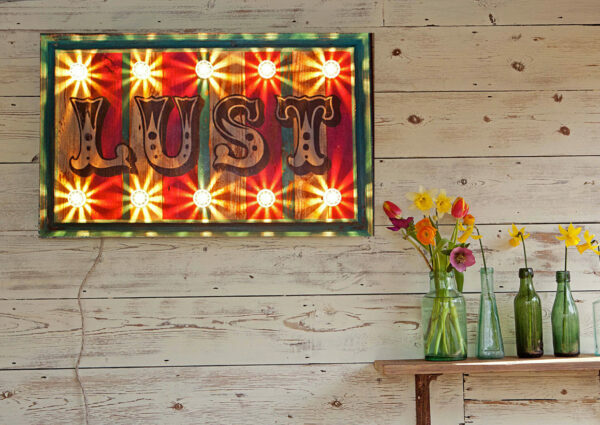 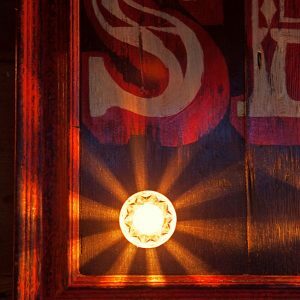 This statement piece has been lovingly and individually made by the designer makers at Argent & Sable who handcraft these illuminated circus signs from reclaimed wood and authentic fairground lights in their Suffolk workshop producing a piece of light art that is both unique and eclectic.